We’re very happy to introduce you to Rebecca Saltzman, who joined Breast Cancer Action’s staff as our Deputy Director in March. Rebecca has spent the past two decades as a policy advocate, coalition builder, grassroots organizer, and manager with local, state, and national issue-based organizations. She’s also managed, worked on, and advised several local candidate campaigns, various public transit ballot measures, and a statewide initiative. 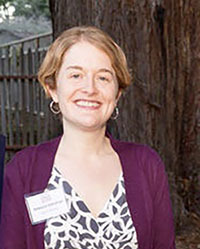 Rebecca is an elected member of the BART Board of Directors, representing District 3 in the East Bay. Tell us a little about yourself and what brought you to Breast Cancer Action. I’ve worked in a variety of roles at non-profit organizations that focus on social and/or environmental justice for most of my career. And I’m inspired by Breast Cancer Action’s activist, watchdog, and educational work. 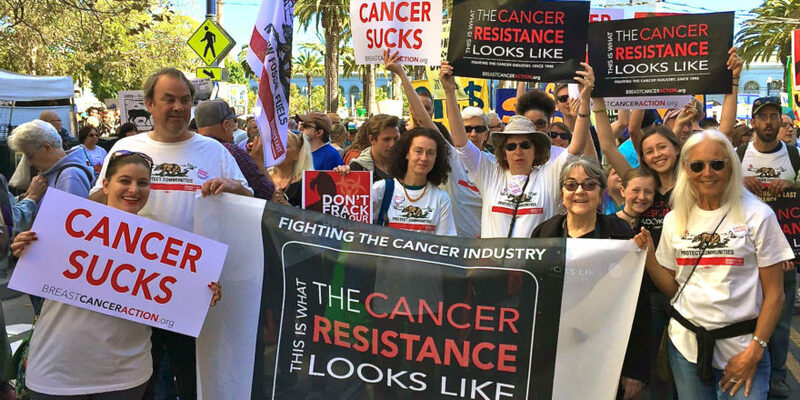 Most recently, I served as the Interim Executive Director of the California League of Conservation Voters (CLCV), the non-partisan political action arm of California’s environmental movement. Prior to taking on this role, I managed CLCV Education Fund’s Green California program, a network of more than one hundred organizations with a common environmental, health, and justice agenda, working collaboratively to speak to the California legislature with one voice. It’s great that I’m able to continue to work with many of these organizations, as partners of Breast Cancer Action, in our work to eliminate involuntary exposures to toxic chemicals present in our daily lives that put people at increased risk of breast cancer. Earlier in my career I worked at Americans for Safe Access, a medical marijuana advocacy organization, starting off as an organizer and moving on to become chief of staff. I worked with activists throughout the country to gain safe access to medical marijuana, through policy and legal advocacy, and at the time this was difficult, controversial, and often emotional work. Americans for Safe Access also worked with medical professionals to provide accurate information to medical marijuana patients and doctors because, at the time, this information was often difficult to access and was not included in medical training. It’s one of the many things I appreciate about Breast Cancer Action—we offer information that other organizations don’t, and it’s information people know they can trust. What most inspires/excites you about Breast Cancer Action’s work? This is a hard one for me because each day I come to work here at Breast Cancer Action, I get inspired by or excited about a different part of the organization’s work! What most inspired me initially though was Breast Cancer Action’s conflict of interest policy and commitment to not take contributions from corporations that profit from or contribute to breast cancer. This policy allows the organization to provide factual information about breast cancer and to be an effective watchdog, without worrying about what corporate funders might think. I’m really excited about working with the Breast Cancer Action team – the staff, Board members, volunteers, and partners. I’ve been inspired by the dedication and hard work of everyone at the organization, and every day I’m amazed at how much our small and mighty team accomplishes. I look forward to working with everyone to grow the capacity of Breast Cancer Action so we’re able to make even greater impacts in the future.